In the latest twist in a rollercoaster of a case, Japanese investigators are reportedly eyeing a possible aggravated breach of trust charge related to at least USD 32 million in Nissan funds transferred to a distributor in Oman. "I'm getting ready to tell the truth about what's happening. Press conference on Thursday, April 11," said the tweet, sent early Wednesday afternoon. 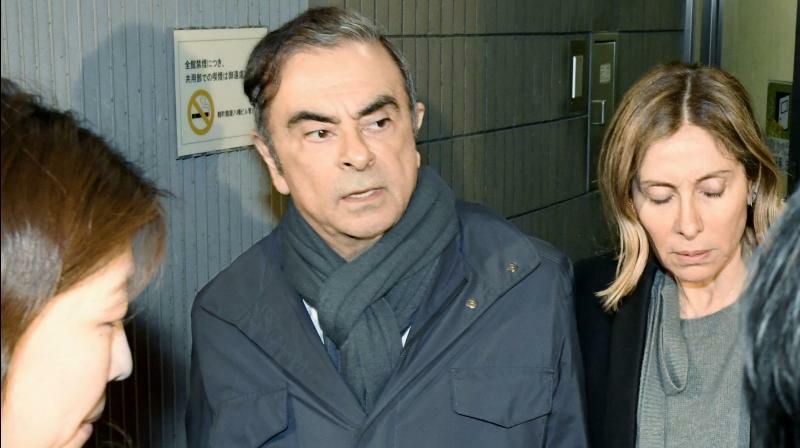 An internal probe by Nissan, which is cooperating with prosecutors, has found Ghosn had approved over USD 30 million in payments to a distributor in Oman, a person familiar with the matter confirmed to AFP. He spent more than 100 days in detention with limited access to lawyers before being released on a bail of nearly USD 9 million.